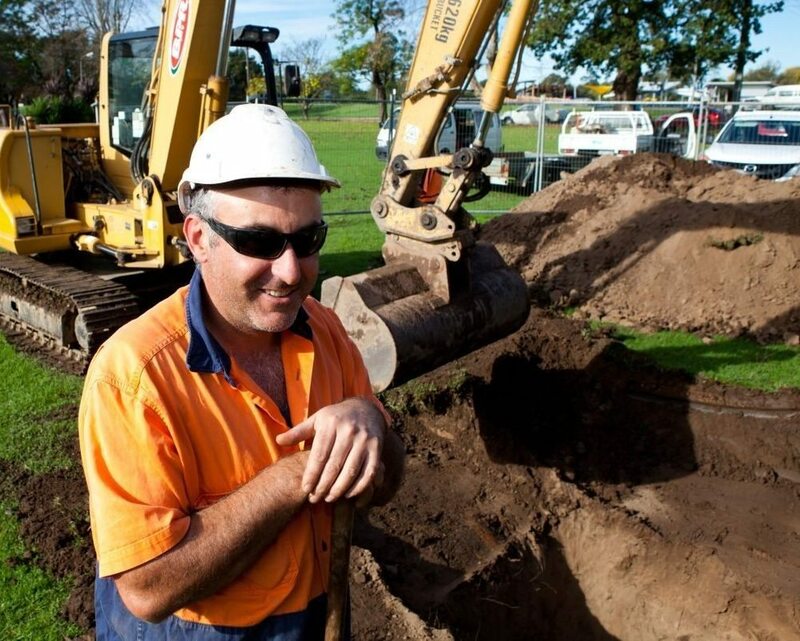 Work is well underway by East Gippsland Water to replace one kilometre of ageing water main along Calvert Street in Bairnsdale, which will boost the reliability of the local water supply network well into the future. The $650,000 project is targeting the section of Calvert Street main running between the Princes Highway and Jennings Street. It has reached a key stage where new valves need to be installed in the pipeline, which will make it much easier to carry out maintenance work in the future without causing major inconvenience to customers. Subject to weather conditions, the date for this key work to be carried out is now Saturday 13 August, to minimise disruption to nearby schools and childcare facilities. To enable the valves to be installed it will be necessary to turn off the water supply to approximately 130 households temporarily between 9am and 2pm on the day. This valve work will involve parts of Calvert, Bredt, Albert, Jennings, Wallace and Morgan streets. Affected households have been notified by letter, with water to be made available from a large mobile water tank located at the corner of Jennings and Calvert Streets and a water trailer at the corner of Wallace and Morgan streets. This initiative is part of a $7 million program of investment in major capital projects that the corporation is committed to for the current financial year across East Gippsland’s towns. Customers with any queries about the Calvert Street works should contact East Gippsland Water on 1800 671 841.